Original Build Price $71,845. Premium Package. Infotainment Package. Lane Change Assist. Porsche Entry & Drive. Exterior Package in Black.This Porsche Cayenne Comes Equipped with These Options 1NP Wheel Center Caps with Colored Porsche Crest 4F6 Porsche Entry & Drive 7Y1 Lane Change Assist (LCA) 9JB Smoking Package C7 Moonlight Blue Metallic MA Standard Interior in Black PJB Premium Package PJU Infotainment Package w/ HD Radio QJ4 Exterior Package in Black (High-Gloss) U00 19 Cayenne Turbo Wheels Dual Zone Front Automatic Air Conditioning, Bluetooth Wireless Phone Connectivity, Power Liftgate Rear Cargo Access, Leather/Metal-Look Gear Shift Knob, Trunk/Hatch Auto-Latch, Tire Specific Low Tire Pressure Warning, Tailgate/Rear Door Lock Included w/ Power Door Locks, Side Impact Beams, Rear Child Safety Locks, Rain Detecting Variable Intermittent Wipers w/ Heated Jets, Power Door Locks w/ Autolock Feature, Power 1st Row Windows w/ Front And Rear 1-Touch Up/Down, Perimeter/Approach Lights, Partial Leather Seat Trim, Outside Temp Gauge, Outboard Front Lap And Shoulder Safety Belts w/ Rear Center 3 Point, Height Adjusters and Pretensioners, Multi-Link Rear Suspension w/ Coil Springs, Manual Tilt/Telescoping Steering Column, Manual Adjustable Front Head Restraints and Manual Adjustable Rear Head Restraints, Lip Spoiler, LED Brakelights, Leather Door Trim Insert, Hydraulic Power-Assist Steering, Gas-Pressurized Shock Absorbers, Fully Automatic Projector Beam High Intensity Low/High Beam Daytime Running Auto-Leveling Headlamps w/ Delay-Off, Full-Time All-Wheel Drive, Full Cloth Headliner, Front Windshield w/ Sun Visor Strip, Front And Rear Fog Lamps, Front and Rear Anti-Roll Bars.KBB.com 10 Best Luxury SUVs. Delivers 24 Highway MPG and 19 City MPG! 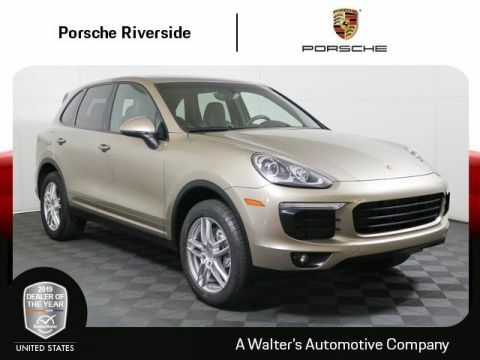 This Porsche Cayenne delivers a 3.6L V6 engine powering this Automatic transmission.The Votes are Counted KBB.com 10 Best Luxury SUVs, KBB.com Brand Image Awards.Peace of Mind Purchase this vehicle with peace of mind with Walter's 5 day - 500 mile exchange policy.Visit Us Today For a must-own Porsche Cayenne come see us at Porsche Riverside, 8423 Indiana Ave, Riverside, CA 92504. 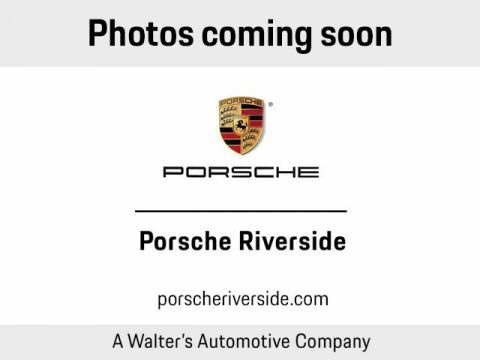 Just minutes away!Porsche Approved Certified Pre-Owned Vehicle Porsche Approved Certified Pre-Owned vehicles are inspected by factory trained technicians who conduct a 100+ point mechanical and visual inspection, using original Porsche parts. Each vehicle must pass this rigorous inspection before it can be eligible for enrollment into the Porsche Approved Program. If a problem occurs with your Porsche vehicle, the warranty will cover 100% of the material and labor fees. Unlimited Mileage Warranty Benefits & More When you take advantage of the Porsche Approved Certified Pre-Owned Program, you’ll receive the following warranty benefits: • 2 Years / Unlimited Mileage Warranty coverage from the expiration of the new vehicle limited warranty or the date of sale if the new vehicle limited warranty has expired • 2 Years / Unlimited Mileage Porsche Roadside Assistance • Factory trained technicians perform repairs • No deductible • Redeemable at every Porsche Dealer • Only Genuine Porsche parts are used The warranty covers all parts of the following components: • Engine • Fuel / Cooling system • Power train / Transmission • Suspension / Steering • Brake system • Heating / Air condition • Electrical Systems • Body • Comfort ElectronicsPrice plus government fees and taxes, any finance charges, any dealer document processing charge, any electronic filing charge and any emission testing charge. Prices and offers on inventory expire each night at midnight. Original Build Price $68,495. Premium Package. Roof Rail in Aluminum Finish. Standard Interior in Luxor Beige. Moonlight Blue Metallic Exterior. Wheel Center Caps in Colored Porsche Crest.This Porsche Cayenne Features the Following Options 1NP Wheel Center Caps with Colored Porsche Crest 3S1 Roof Rails in Aluminum Finish C7 Moonlight Blue Metallic F09 19 Cayenne Design II Wheels MC Standard Interior in Luxor Beige PJB Premium Package Dual Zone Front Automatic Air Conditioning, Bluetooth Wireless Phone Connectivity, Power Liftgate Rear Cargo Access, Leather/Metal-Look Gear Shift Knob, Trunk/Hatch Auto-Latch, Tire Specific Low Tire Pressure Warning, Tailgate/Rear Door Lock Included w/ Power Door Locks, Side Impact Beams, Rear Child Safety Locks, Rain Detecting Variable Intermittent Wipers w/ Heated Jets, Power Door Locks w/ Autolock Feature, Power 1st Row Windows w/ Front And Rear 1-Touch Up/Down, Perimeter/Approach Lights, Partial Leather Seat Trim, Outside Temp Gauge, Outboard Front Lap And Shoulder Safety Belts w/ Rear Center 3 Point, Height Adjusters and Pretensioners, Multi-Link Rear Suspension w/ Coil Springs, Manual Tilt/Telescoping Steering Column, Manual Adjustable Front Head Restraints and Manual Adjustable Rear Head Restraints, Lip Spoiler, LED Brakelights, Leather Door Trim Insert, Hydraulic Power-Assist Steering, Gas-Pressurized Shock Absorbers, Fully Automatic Projector Beam High Intensity Low/High Beam Daytime Running Auto-Leveling Headlamps w/ Delay-Off, Full-Time All-Wheel Drive, Full Cloth Headliner, Front Windshield w/ Sun Visor Strip, Front And Rear Fog Lamps, Front and Rear Anti-Roll Bars.KBB.com 10 Best Luxury SUVs. Scores 24 Highway MPG and 19 City MPG! This Porsche Cayenne boasts a 3.6L V6 engine powering this Automatic transmission. 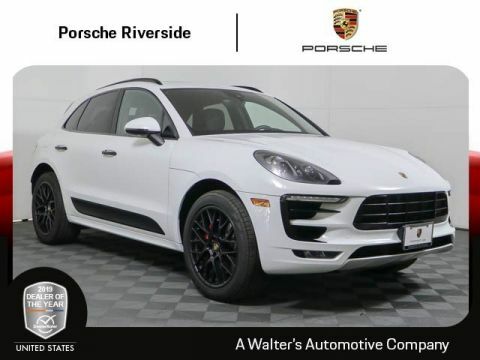 The Votes are Counted KBB.com 10 Best Luxury SUVs, KBB.com Brand Image Awards.Peace of Mind Purchase this vehicle with peace of mind with Walter's 5 day - 500 mile exchange policy.Stop By Today Stop by Porsche Riverside located at 8423 Indiana Ave, Riverside, CA 92504 for a quick visit and a great vehicle!Porsche Approved Certified Pre-Owned Vehicle Porsche Approved Certified Pre-Owned vehicles are inspected by factory trained technicians who conduct a 100+ point mechanical and visual inspection, using original Porsche parts. Each vehicle must pass this rigorous inspection before it can be eligible for enrollment into the Porsche Approved Program. If a problem occurs with your Porsche vehicle, the warranty will cover 100% of the material and labor fees. Unlimited Mileage Warranty Benefits & More When you take advantage of the Porsche Approved Certified Pre-Owned Program, you’ll receive the following warranty benefits: • 2 Years / Unlimited Mileage Warranty coverage from the expiration of the new vehicle limited warranty or the date of sale if the new vehicle limited warranty has expired • 2 Years / Unlimited Mileage Porsche Roadside Assistance • Factory trained technicians perform repairs • No deductible • Redeemable at every Porsche Dealer • Only Genuine Porsche parts are used The warranty covers all parts of the following components: • Engine • Fuel / Cooling system • Power train / Transmission • Suspension / Steering • Brake system • Heating / Air condition • Electrical Systems • Body • Comfort ElectronicsPrice plus government fees and taxes, any finance charges, any dealer document processing charge, any electronic filing charge and any emission testing charge. Prices and offers on inventory expire each night at midnight. Original Build Price $79,470. Premium Package. Panoramic Roof. Seat Heating/Ventilation (Front). Power Seats w/ Memory Package. Exterior Package in Black.This Porsche Cayenne Comes Equipped with These Options 3FU Panoramic Roof System 3Y7 Power Sunblind for Rear Side Windows 4A3 Seat Heating (Front) 4D3 Seat Ventilation (Front) 9JB Smoking Package 9Q Meteor Grey Metallic MB Standard Interior in Agate Grey PE5 Power Seats (14-way) with Memory Package PJB Premium Package QJ4 Exterior Package in Black (High-Gloss) QV8 SiriusXM(R) Satellite Radio Dual Zone Front Automatic Air Conditioning, Bluetooth Wireless Phone Connectivity, Power Liftgate Rear Cargo Access, Leather/Metal-Look Gear Shift Knob, Trunk/Hatch Auto-Latch, Tire Specific Low Tire Pressure Warning, Tailgate/Rear Door Lock Included w/ Power Door Locks, Side Impact Beams, Rear Child Safety Locks, Rain Detecting Variable Intermittent Wipers w/ Heated Jets, Power Door Locks w/ Autolock Feature, Power 1st Row Windows w/ Front And Rear 1-Touch Up/Down, Perimeter/Approach Lights, Partial Leather Seat Trim, Outside Temp Gauge, Outboard Front Lap And Shoulder Safety Belts w/ Rear Center 3 Point, Height Adjusters and Pretensioners, Multi-Link Rear Suspension w/ Coil Springs, Manual Tilt/Telescoping Steering Column, Manual Adjustable Front Head Restraints and Manual Adjustable Rear Head Restraints, Lip Spoiler, LED Brakelights, Leather Door Trim Insert, Hydraulic Power-Assist Steering, Gas-Pressurized Shock Absorbers, Fully Automatic Projector Beam High Intensity Low/High Beam Daytime Running Auto-Leveling Headlamps w/ Delay-Off, Full-Time All-Wheel Drive, Full Cloth Headliner, Front Windshield w/ Sun Visor Strip, Front And Rear Fog Lamps, Front and Rear Anti-Roll Bars.KBB.com 10 Best Luxury SUVs. Scores 24 Highway MPG and 19 City MPG! This Porsche Cayenne boasts a 3.6L V6 engine powering this Automatic transmission. This Porsche Cayenne is a Superstar! KBB.com 10 Best Luxury SUVs, KBB.com Brand Image Awards.Peace of Mind Purchase this vehicle with peace of mind with Walter's 5 day - 500 mile exchange policy.Visit Us Today Come in for a quick visit at Porsche Riverside, 8423 Indiana Ave, Riverside, CA 92504 to claim your Porsche Cayenne!Porsche Approved Certified Pre-Owned Vehicle Porsche Approved Certified Pre-Owned vehicles are inspected by factory trained technicians who conduct a 100+ point mechanical and visual inspection, using original Porsche parts. Each vehicle must pass this rigorous inspection before it can be eligible for enrollment into the Porsche Approved Program. If a problem occurs with your Porsche vehicle, the warranty will cover 100% of the material and labor fees. Unlimited Mileage Warranty Benefits & More When you take advantage of the Porsche Approved Certified Pre-Owned Program, you’ll receive the following warranty benefits: • 2 Years / Unlimited Mileage Warranty coverage from the expiration of the new vehicle limited warranty or the date of sale if the new vehicle limited warranty has expired • 2 Years / Unlimited Mileage Porsche Roadside Assistance • Factory trained technicians perform repairs • No deductible • Redeemable at every Porsche Dealer • Only Genuine Porsche parts are used The warranty covers all parts of the following components: • Engine • Fuel / Cooling system • Power train / Transmission • Suspension / Steering • Brake system • Heating / Air condition • Electrical Systems • Body • Comfort ElectronicsPrice plus government fees and taxes, any finance charges, any dealer document processing charge, any electronic filing charge and any emission testing charge. Prices and offers on inventory expire each night at midnight. Original Build Price $68,570. Driver Memory Package. Park Assist w/ Reversing Camera. Seat Heating. Exterior Package in Black. Standard Interior in Black.This Porsche Cayenne Features the Following Options 2T Jet Black Metallic 3L4 Driver Memory Package 4A3 Seat Heating (Front) 7X8 ParkAssist (Front and Rear) with Reversing Camera MA Standard Interior in Black QJ4 Exterior Package in Black (High-Gloss) QV8 SiriusXM(R) Satellite Radio U01 21 911 Turbo Design Wheels Dual Zone Front Automatic Air Conditioning, Bluetooth Wireless Phone Connectivity, Power Liftgate Rear Cargo Access, Leather/Metal-Look Gear Shift Knob, Trunk/Hatch Auto-Latch, Tire Specific Low Tire Pressure Warning, Tailgate/Rear Door Lock Included w/ Power Door Locks, Side Impact Beams, Rear Child Safety Locks, Rain Detecting Variable Intermittent Wipers w/ Heated Jets, Power Door Locks w/ Autolock Feature, Power 1st Row Windows w/ Front And Rear 1-Touch Up/Down, Perimeter/Approach Lights, Partial Leather Seat Trim, Outside Temp Gauge, Outboard Front Lap And Shoulder Safety Belts w/ Rear Center 3 Point, Height Adjusters and Pretensioners, Multi-Link Rear Suspension w/ Coil Springs, Manual Tilt/Telescoping Steering Column, Manual Adjustable Front Head Restraints and Manual Adjustable Rear Head Restraints, Lip Spoiler, LED Brakelights, Leather Door Trim Insert, Hydraulic Power-Assist Steering, Gas-Pressurized Shock Absorbers, Fully Automatic Projector Beam High Intensity Low/High Beam Daytime Running Auto-Leveling Headlamps w/ Delay-Off, Full-Time All-Wheel Drive, Full Cloth Headliner, Front Windshield w/ Sun Visor Strip, Front And Rear Fog Lamps, Front and Rear Anti-Roll Bars.KBB.com 10 Best Luxury SUVs. Only 29,948 Miles! Scores 24 Highway MPG and 19 City MPG! Carfax One-Owner Vehicle. This Porsche Cayenne boasts a 3.6L V6 engine powering this Automatic transmission. This Porsche Cayenne is a Superstar! KBB.com 10 Best Luxury SUVs, KBB.com Brand Image Awards.Peace of Mind Purchase this vehicle with peace of mind with Walter's 5 day - 500 mile exchange policy.Stop By Today Treat yourself- stop by Porsche Riverside located at 8423 Indiana Ave, Riverside, CA 92504 to make this car yours today!Porsche Approved Certified Pre-Owned Vehicle Porsche Approved Certified Pre-Owned vehicles are inspected by factory trained technicians who conduct a 100+ point mechanical and visual inspection, using original Porsche parts. Each vehicle must pass this rigorous inspection before it can be eligible for enrollment into the Porsche Approved Program. If a problem occurs with your Porsche vehicle, the warranty will cover 100% of the material and labor fees. Unlimited Mileage Warranty Benefits & More When you take advantage of the Porsche Approved Certified Pre-Owned Program, you’ll receive the following warranty benefits: • 2 Years / Unlimited Mileage Warranty coverage from the expiration of the new vehicle limited warranty or the date of sale if the new vehicle limited warranty has expired • 2 Years / Unlimited Mileage Porsche Roadside Assistance • Factory trained technicians perform repairs • No deductible • Redeemable at every Porsche Dealer • Only Genuine Porsche parts are used The warranty covers all parts of the following components: • Engine • Fuel / Cooling system • Power train / Transmission • Suspension / Steering • Brake system • Heating / Air condition • Electrical Systems • Body • Comfort ElectronicsPrice plus government fees and taxes, any finance charges, any dealer document processing charge, any electronic filing charge and any emission testing charge. Prices and offers on inventory expire each night at midnight. Original Build Price $66,550. Premium Package. Infotainment Package. Standard Interior in Black/Luxor Beige. Wheel Center Caps w/ Colored Porsche Crest.This Porsche Cayenne Features the Following Options 1NP Wheel Center Caps with Colored Porsche Crest 77 Standard Interior in Black/Luxor Beige A1 Black PJB Premium Package PJU Infotainment Package w/ HD Radio V99 18 Cayenne S wheel WHEEL HUB COVER W/COLORED PORSCHE CREST, PREMIUM PACKAGE w/ Power Steering Plus, Bi-Xenon Headlights w/Porsche Dynamic Light System, Front Seat Ventilation, 14-Way Power Seats w/Memory Package, Comfort Lighting Package, Front Seat Heating, Automatically Dimming Interior & Exterior Mirrors, Front & Rear ParkAssist w/Reversing Camera, Electric Slide/Tilt Glass Sunroof, LUXOR BEIGE/BLACK, TWO-TONE PARTIAL LEATHER SEAT TRIM, INFOTAINMENT BOSE PACKAGE W/HD RADIO w/ Online Services, BOSE Surround Sound System, SiriusXM Satellite Radio, Dual Zone Front Automatic Air Conditioning, Bluetooth Wireless Phone Connectivity, BLACK, Power Liftgate Rear Cargo Access, WHEELS: 8J X 18 CAYENNE S, Leather/Metal-Look Gear Shift Knob, Tailgate/Rear Door Lock Included w/ Power Door Locks, Side Impact Beams, Rear Child Safety Locks, Rain Detecting Variable Intermittent Wipers w/ Heated Jets, Power Door Locks w/ Autolock Feature, Power 1st Row Windows w/ Front And Rear 1-Touch Up/Down, Perimeter/Approach Lights, Partial Leather Seat Trim, Outside Temp Gauge, Outboard Front Lap And Shoulder Safety Belts w/ Rear Center 3 Point, Height Adjusters and Pretensioners, Multi-Link Rear Suspension w/ Coil Springs, Manual Tilt/Telescoping Steering Column, Manual Adjustable Front Head Restraints and Manual Adjustable Rear Head Restraints, Lip Spoiler, LED Brakelights, Leather Door Trim Insert, Hydraulic Power-Assist Steering, Gas-Pressurized Shock Absorbers, Fully Automatic Projector Beam High Intensity Low/High Beam Daytime Running Auto-Leveling Headlamps w/ Delay-Off, Full-Time All-Wheel Drive.KBB.com 10 Best Luxury SUVs. Delivers 24 Highway MPG and 19 City MPG! Carfax One-Owner Vehicle. Dealer Certified Pre-Owned. This Porsche Cayenne delivers a 3.6L V6 engine powering this Automatic transmission. This Porsche Cayenne is a Superstar! KBB.com 10 Best Luxury SUVs, KBB.com Brand Image Awards.Peace of Mind Purchase this vehicle with peace of mind with Walter's 5 day - 500 mile exchange policy.Visit Us Today A short visit to Porsche Riverside located at 8423 Indiana Ave, Riverside, CA 92504 can get you a tried-and-true Cayenne today!Porsche Approved Certified Pre-Owned Vehicle Porsche Approved Certified Pre-Owned vehicles are inspected by factory trained technicians who conduct a 100+ point mechanical and visual inspection, using original Porsche parts. Each vehicle must pass this rigorous inspection before it can be eligible for enrollment into the Porsche Approved Program. If a problem occurs with your Porsche vehicle, the warranty will cover 100% of the material and labor fees. Unlimited Mileage Warranty Benefits & More When you take advantage of the Porsche Approved Certified Pre-Owned Program, you’ll receive the following warranty benefits: • 2 Years / Unlimited Mileage Warranty coverage from the expiration of the new vehicle limited warranty or the date of sale if the new vehicle limited warranty has expired • 2 Years / Unlimited Mileage Porsche Roadside Assistance • Factory trained technicians perform repairs • No deductible • Redeemable at every Porsche Dealer • Only Genuine Porsche parts are used The warranty covers all parts of the following components: • Engine • Fuel / Cooling system • Power train / Transmission • Suspension / Steering • Brake system • Heating / Air condition • Electrical Systems • Body • Comfort ElectronicsPrice plus government fees and taxes, any finance charges, any dealer document processing charge, any electronic filing charge and any emission testing charge. Prices and offers on inventory expire each night at midnight. Premium Package. Power Seats w/ Memory Package. Seat Heating/Ventilation (Front). Panoramic Roof. Standard Interior in Black.This Porsche Cayenne Comes Equipped with These Options 3FU Panoramic Roof System 4A3 Seat Heating (Front) 4D3 Seat Ventilation (Front) CK0 21 Cayenne SportEdition Wheels with Wheel Arch Extension MA Standard Interior in Black PE5 Power Seats (14-way) with Memory Package PJB Premium Package S2 Rhodium Silver Metallic Dual Zone Front Automatic Air Conditioning, Bluetooth Wireless Phone Connectivity, Power Liftgate Rear Cargo Access, Leather/Metal-Look Gear Shift Knob, Trunk/Hatch Auto-Latch, Tire Specific Low Tire Pressure Warning, Tailgate/Rear Door Lock Included w/ Power Door Locks, Side Impact Beams, Rear Child Safety Locks, Rain Detecting Variable Intermittent Wipers w/ Heated Jets, Power Door Locks w/ Autolock Feature, Power 1st Row Windows w/ Front And Rear 1-Touch Up/Down, Perimeter/Approach Lights, Partial Leather Seat Trim, Outside Temp Gauge, Outboard Front Lap And Shoulder Safety Belts w/ Rear Center 3 Point, Height Adjusters and Pretensioners, Multi-Link Rear Suspension w/ Coil Springs, Manual Tilt/Telescoping Steering Column, Manual Adjustable Front Head Restraints and Manual Adjustable Rear Head Restraints, Lip Spoiler, LED Brakelights, Leather Door Trim Insert, Hydraulic Power-Assist Steering, Gas-Pressurized Shock Absorbers, Fully Automatic Projector Beam High Intensity Low/High Beam Daytime Running Auto-Leveling Headlamps w/ Delay-Off, Full-Time All-Wheel Drive, Full Cloth Headliner, Front Windshield w/ Sun Visor Strip, Front And Rear Fog Lamps, Front and Rear Anti-Roll Bars.KBB.com 10 Best Luxury SUVs. Boasts 24 Highway MPG and 19 City MPG! This Porsche Cayenne boasts a 3.6L V6 engine powering this Automatic transmission. This Porsche Cayenne is a Superstar! 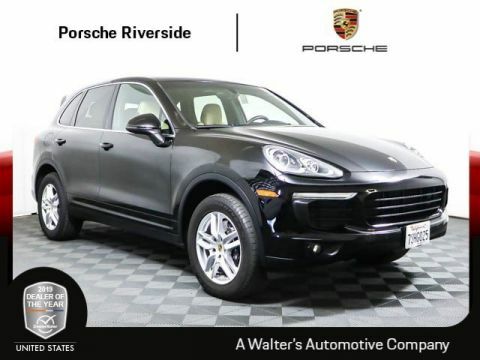 KBB.com 10 Best Luxury SUVs, KBB.com Brand Image Awards.Peace of Mind Purchase this vehicle with peace of mind with Walter's 5 day - 500 mile exchange policy.Visit Us Today Stop by Porsche Riverside located at 8423 Indiana Ave, Riverside, CA 92504 for a quick visit and a great vehicle!Porsche Approved Certified Pre-Owned Vehicle Porsche Approved Certified Pre-Owned vehicles are inspected by factory trained technicians who conduct a 100+ point mechanical and visual inspection, using original Porsche parts. Each vehicle must pass this rigorous inspection before it can be eligible for enrollment into the Porsche Approved Program. If a problem occurs with your Porsche vehicle, the warranty will cover 100% of the material and labor fees. Unlimited Mileage Warranty Benefits & More When you take advantage of the Porsche Approved Certified Pre-Owned Program, you’ll receive the following warranty benefits: • 2 Years / Unlimited Mileage Warranty coverage from the expiration of the new vehicle limited warranty or the date of sale if the new vehicle limited warranty has expired • 2 Years / Unlimited Mileage Porsche Roadside Assistance • Factory trained technicians perform repairs • No deductible • Redeemable at every Porsche Dealer • Only Genuine Porsche parts are used The warranty covers all parts of the following components: • Engine • Fuel / Cooling system • Power train / Transmission • Suspension / Steering • Brake system • Heating / Air condition • Electrical Systems • Body • Comfort ElectronicsPrice plus government fees and taxes, any finance charges, any dealer document processing charge, any electronic filing charge and any emission testing charge. Prices and offers on inventory expire each night at midnight. Premium Package Plus. Infotainment Package. Park Assist w/ Reversing Camera. Trailer Hitch w/o Ball.This Porsche Macan Features the Following Options 1D6 Trailer hitch without tow ball 1NP Wheel Center Caps with Colored Porsche Crest 7X8 ParkAssist (Front and Rear) with Reversing Camera A1 Black C6P 19 Macan Turbo Wheels PE5 Power Seats (14-way) with Memory Package PJ1 Infotainment Package PJ3 Premium Package Plus VC Standard Interior in Black Dual Zone Front Automatic Air Conditioning, Bluetooth Wireless Phone Connectivity, Power Liftgate Rear Cargo Access, Electric Power-Assist Speed-Sensing Steering, Leatherette Door Trim Insert, Leather/Metal-Look Gear Shift Knob, Trunk/Hatch Auto-Latch, Tire Specific Low Tire Pressure Warning, Tailgate/Rear Door Lock Included w/ Power Door Locks, Side Impact Beams, Seats w/ Leatherette Back Material, Rear Child Safety Locks, Rain Detecting Variable Intermittent Wipers w/ Heated Jets, Power Door Locks w/ Autolock Feature, Power 1st Row Windows w/ Front And Rear 1-Touch Up/Down, Perimeter/Approach Lights, Outside Temp Gauge, Outboard Front Lap And Shoulder Safety Belts w/ Rear Center 3 Point, Height Adjusters and Pretensioners, Multi-Link Rear Suspension w/ Coil Springs, Manual w/ Tilt Front Head Restraints and Manual Adjustable Rear Head Restraints, Manual Tilt/Telescoping Steering Column, Lip Spoiler, LED Brakelights, Gauges w/ Speedometer, Odometer, Engine Coolant Temp, Tachometer, Turbo/Supercharger Boost, Trip Odometer and Trip Computer, Gas-Pressurized Shock Absorbers, Fully Automatic Projector Beam High Intensity Low/High Beam Daytime Running Auto-Leveling Headlamps w/ Washer and Delay-Off, Full-Time All-Wheel Drive, Full Cloth Headliner, Front Windshield w/ Sun Visor Strip, Front Fog Lamps.KBB.com Best Resale Value Awards. Scores 23 Highway MPG and 17 City MPG! This Porsche Macan delivers a 3.0L Twin-Turbo V6 engine powering this Automatic transmission. The Votes are Counted KBB.com 10 Most Fun SUVs, KBB.com Best Resale Value Awards, KBB.com Brand Image Awards.Peace of Mind Purchase this vehicle with peace of mind with Walter's 5 day - 500 mile exchange policy.Stop By Today Come in for a quick visit at Porsche Riverside, 8423 Indiana Ave, Riverside, CA 92504 to claim your Porsche Macan!Porsche Approved Certified Pre-Owned Vehicle Porsche Approved Certified Pre-Owned vehicles are inspected by factory trained technicians who conduct a 100+ point mechanical and visual inspection, using original Porsche parts. Each vehicle must pass this rigorous inspection before it can be eligible for enrollment into the Porsche Approved Program. If a problem occurs with your Porsche vehicle, the warranty will cover 100% of the material and labor fees. Unlimited Mileage Warranty Benefits & More When you take advantage of the Porsche Approved Certified Pre-Owned Program, you’ll receive the following warranty benefits: • 2 Years / Unlimited Mileage Warranty coverage from the expiration of the new vehicle limited warranty or the date of sale if the new vehicle limited warranty has expired • 2 Years / Unlimited Mileage Porsche Roadside Assistance • Factory trained technicians perform repairs • No deductible • Redeemable at every Porsche Dealer • Only Genuine Porsche parts are used The warranty covers all parts of the following components: • Engine • Fuel / Cooling system • Power train / Transmission • Suspension / Steering • Brake system • Heating / Air condition • Electrical Systems • Body • Comfort ElectronicsPrice plus government fees and taxes, any finance charges, any dealer document processing charge, any electronic filing charge and any emission testing charge. Prices and offers on inventory expire each night at midnight. Premium package. Infotainment Package. Lane Change Assist. Seat Heating/Ventilation (Front). Electric Slide/Tilt Moonroof. Bose. Power Seats w/ Memory Package.This Porsche Cayenne Features the Following Options 1NP Wheel Center Caps with Colored Porsche Crest 3FE Electric Slide/Tilt Moonroof 4A3 Seat Heating (Front) 4D3 Seat Ventilation (Front) 77 Standard Interior in Black/Luxor Beige 7Y1 Lane Change Assist (LCA) 9JB Smoking Package 9VL Bose(R) Surround Sound System A1 Black PE5 Power Seats (14-way) with Memory Package PJB Premium Package PJU Infotainment Package w/ HD Radio V99 18 Cayenne S wheel WHEEL HUB COVER W/COLORED PORSCHE CREST, SMOKER PACKAGE, PREMIUM PACKAGE w/ Power Steering Plus, Bi-Xenon Headlights w/Porsche Dynamic Light System, Front Seat Ventilation, 14-Way Power Seats w/Memory Package, Comfort Lighting Package, Front Seat Heating, Automatically Dimming Interior & Exterior Mirrors, Front & Rear ParkAssist w/Reversing Camera, Electric Slide/Tilt Glass Sunroof, LUXOR BEIGE/BLACK, TWO-TONE PARTIAL LEATHER SEAT TRIM, LANE CHANGE ASSIST (LCA), INFOTAINMENT BOSE PACKAGE W/HD RADIO w/ Online Services, BOSE Surround Sound System, SiriusXM Satellite Radio Receiver, FRONT SEAT VENTILATION, FRONT SEAT HEATING, ELECTRIC SLIDE/TILT GLASS SUNROOF, Dual Zone Front Automatic Air Conditioning, 14-WAY POWER SEATS w/ MEMORY PACKAGE , Power Liftgate Rear Cargo Access, WHEELS: 8J X 18 CAYENNE S, Leather/Metal-Look Gear Shift Knob, Trunk/Hatch Auto-Latch, Tire Specific Low Tire Pressure Warning, Tailgate/Rear Door Lock Included w/ Power Door Locks, Side Impact Beams, Rear Child Safety Locks, Rain Detecting Variable Intermittent Wipers w/ Heated Jets, Power Door Locks w/ Autolock Feature, Power 1st Row Windows w/ Front And Rear 1-Touch Up/Down, Perimeter/Approach Lights, Partial Leather Seat Trim, Outside Temp Gauge, Outboard Front Lap And Shoulder Safety Belts w/ Rear Center 3 Point, Height Adjusters and Pretensioners, Multi-Link Rear Suspension w/ Coil Springs, Manual Tilt/Telescoping Steering Column, Manual Adjustable Front Head Restraints and Manual Adjustable Rear Head Restraints, Lip Spoiler.KBB.com 10 Best Luxury SUVs. Only 30,182 Miles! Scores 24 Highway MPG and 19 City MPG! This Porsche Cayenne boasts a 3.6L V6 engine powering this Automatic transmission.This Porsche Cayenne is a Superstar! 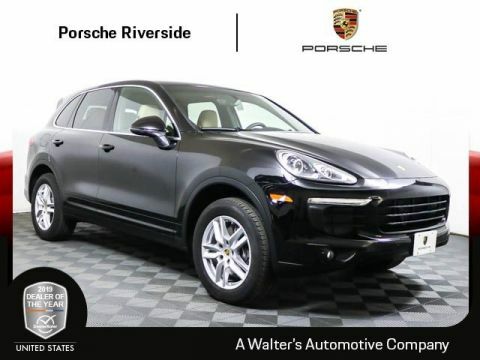 KBB.com 10 Best Luxury SUVs, KBB.com Brand Image Awards.Peace of Mind Purchase this vehicle with peace of mind with Walter's 5 day - 500 mile exchange policy.Visit Us Today Stop by Porsche Riverside located at 8423 Indiana Ave, Riverside, CA 92504 for a quick visit and a great vehicle!Price plus government fees and taxes, any finance charges, any dealer document processing charge, any electronic filing charge and any emission testing charge. Prices and offers on inventory expire each night at midnight. Premium Package. Infotainment Package. Lane Change Assist. Porsche Entry & Drive. Exterior Package in Black. Standard Interior in Agate Grey.This Porsche Cayenne Features the Following Options 4F6 Porsche Entry & Drive 4T Palladium Metallic 7Y1 Lane Change Assist (LCA) 9JB Smoking Package MB Standard Interior in Agate Grey PJB Premium Package PJU Infotainment Package w/ HD Radio QJ4 Exterior Package in Black (High-Gloss) U00 19 Cayenne Turbo Wheels Dual Zone Front Automatic Air Conditioning, Bluetooth Wireless Phone Connectivity, Power Liftgate Rear Cargo Access, Leather/Metal-Look Gear Shift Knob, Trunk/Hatch Auto-Latch, Tire Specific Low Tire Pressure Warning, Tailgate/Rear Door Lock Included w/ Power Door Locks, Side Impact Beams, Rear Child Safety Locks, Rain Detecting Variable Intermittent Wipers w/ Heated Jets, Power Door Locks w/ Autolock Feature, Power 1st Row Windows w/ Front And Rear 1-Touch Up/Down, Perimeter/Approach Lights, Partial Leather Seat Trim, Outside Temp Gauge, Outboard Front Lap And Shoulder Safety Belts w/ Rear Center 3 Point, Height Adjusters and Pretensioners, Multi-Link Rear Suspension w/ Coil Springs, Manual Tilt/Telescoping Steering Column, Manual Adjustable Front Head Restraints and Manual Adjustable Rear Head Restraints, Lip Spoiler, LED Brakelights, Leather Door Trim Insert, Hydraulic Power-Assist Steering, Gas-Pressurized Shock Absorbers, Fully Automatic Projector Beam High Intensity Low/High Beam Daytime Running Auto-Leveling Headlamps w/ Delay-Off, Full-Time All-Wheel Drive, Full Cloth Headliner, Front Windshield w/ Sun Visor Strip, Front And Rear Fog Lamps, Front and Rear Anti-Roll Bars.KBB.com 10 Best Luxury SUVs. Only 18,755 Miles! Boasts 24 Highway MPG and 19 City MPG! This Porsche Cayenne delivers a 3.6L V6 engine powering this Automatic transmission. 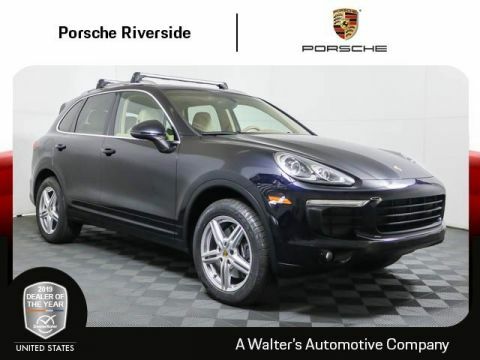 The Votes are Counted KBB.com 10 Best Luxury SUVs, KBB.com Brand Image Awards.Peace of Mind Purchase this vehicle with peace of mind with Walter's 5 day - 500 mile exchange policy.Stop By Today Come in for a quick visit at Porsche Riverside, 8423 Indiana Ave, Riverside, CA 92504 to claim your Porsche Cayenne!Porsche Approved Certified Pre-Owned Vehicle Porsche Approved Certified Pre-Owned vehicles are inspected by factory trained technicians who conduct a 100+ point mechanical and visual inspection, using original Porsche parts. Each vehicle must pass this rigorous inspection before it can be eligible for enrollment into the Porsche Approved Program. If a problem occurs with your Porsche vehicle, the warranty will cover 100% of the material and labor fees. Unlimited Mileage Warranty Benefits & More When you take advantage of the Porsche Approved Certified Pre-Owned Program, you’ll receive the following warranty benefits: • 2 Years / Unlimited Mileage Warranty coverage from the expiration of the new vehicle limited warranty or the date of sale if the new vehicle limited warranty has expired • 2 Years / Unlimited Mileage Porsche Roadside Assistance • Factory trained technicians perform repairs • No deductible • Redeemable at every Porsche Dealer • Only Genuine Porsche parts are used The warranty covers all parts of the following components: • Engine • Fuel / Cooling system • Power train / Transmission • Suspension / Steering • Brake system • Heating / Air condition • Electrical Systems • Body • Comfort ElectronicsPrice plus government fees and taxes, any finance charges, any dealer document processing charge, any electronic filing charge and any emission testing charge. Prices and offers on inventory expire each night at midnight. Original Build Price $86,910. Premium Package. Infotainment Package. Lane Change Assist. Seat Heating/Ventilation (Front). Sport Exhaust System. Bose. Power Seats w/ Memory Package. Standard Interior in Black.This Porsche Cayenne Features the Following Options 0P8 Sport Exhaust System 1NP Wheel Center Caps with Colored Porsche Crest 4A3 Seat Heating (Front) 4D3 Seat Ventilation (Front) 7Y1 Lane Change Assist (LCA) 9VL Bose(R) Surround Sound System MA Standard Interior in Black PE5 Power Seats (14-way) with Memory Package PJC Premium Package PJU Infotainment Package w/ HD Radio S2 Rhodium Silver Metallic U00 19 Cayenne Turbo Wheels SILVER SPORT EXHAUST SYSTEM, PREMIUM PACKAGE -inc: Bi-Xenon Headlights w/Porsche Dynamic Light System, Front Seat Ventilation, 14-Way Power Seats w/Memory Package, Front Seat Heating, Panoramic Roof System, Comfort Lighting Package w/Memory Package, Front & Rear ParkAssist w/Reversing Camera, Automatically Dimming Exterior & Interior Mirrors, Dual Zone Front Automatic Air Conditioning, Bluetooth Wireless Phone Connectivity, Power Liftgate Rear Cargo Access, Leather/Metal-Look Gear Shift Knob, Trunk/Hatch Auto-Latch, Tire Specific Low Tire Pressure Warning, Tailgate/Rear Door Lock Included w/ Power Door Locks, Side Impact Beams, Rain Detecting Variable Intermittent Wipers w/ Heated Jets, Power Door Locks w/ Autolock Feature, Power 1st Row Windows w/ Front And Rear 1-Touch Up/Down, Perimeter/Approach Lights, Partial Leather Seat Trim, Outside Temp Gauge, Outboard Front Lap And Shoulder Safety Belts w/ Rear Center 3 Point, Height Adjusters and Pretensioners, Multi-Link Rear Suspension w/ Coil Springs, Manual Tilt/Telescoping Steering Column, Manual Adjustable Front Head Restraints and Manual Adjustable Rear Head Restraints, Lip Spoiler, LED Brakelights, Leather Door Trim Insert, Hydraulic Power-Assist Speed-Sensing Steering, Gas-Pressurized Shock Absorbers, Fully Automatic Projector Beam High Intensity Low/High Beam Daytime Running Auto-Leveling Headlamps w/ Delay-Off, Full-Time All-Wheel Drive, Full Cloth Headliner, Front Windshield w/ Sun Visor Strip, Front And Rear Fog Lamps.KBB.com 10 Best Luxury SUVs. Scores 24 Highway MPG and 17 City MPG! Carfax One-Owner Vehicle. 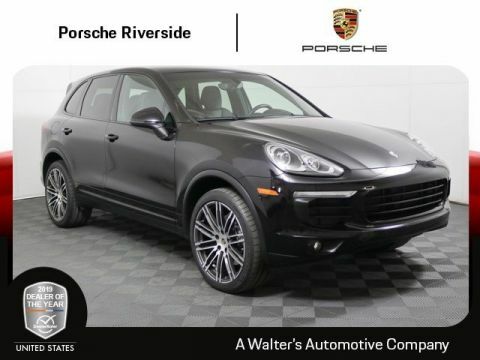 This Porsche Cayenne boasts a 3.6L V6 engine powering this Automatic transmission.The Votes are Counted KBB.com 10 Best Luxury SUVs, KBB.com Brand Image Awards.Peace of Mind Purchase this vehicle with peace of mind with Walter's 5 day - 500 mile exchange policy.Visit Us Today Stop by Porsche Riverside located at 8423 Indiana Ave, Riverside, CA 92504 for a quick visit and a great vehicle!Porsche Approved Certified Pre-Owned Vehicle Porsche Approved Certified Pre-Owned vehicles are inspected by factory trained technicians who conduct a 100+ point mechanical and visual inspection, using original Porsche parts. Each vehicle must pass this rigorous inspection before it can be eligible for enrollment into the Porsche Approved Program. If a problem occurs with your Porsche vehicle, the warranty will cover 100% of the material and labor fees. Unlimited Mileage Warranty Benefits & More When you take advantage of the Porsche Approved Certified Pre-Owned Program, you’ll receive the following warranty benefits: • 2 Years / Unlimited Mileage Warranty coverage from the expiration of the new vehicle limited warranty or the date of sale if the new vehicle limited warranty has expired • 2 Years / Unlimited Mileage Porsche Roadside Assistance • Factory trained technicians perform repairs • No deductible • Redeemable at every Porsche Dealer • Only Genuine Porsche parts are used The warranty covers all parts of the following components: • Engine • Fuel / Cooling system • Power train / Transmission • Suspension / Steering • Brake system • Heating / Air condition • Electrical Systems • Body • Comfort ElectronicsPrice plus government fees and taxes, any finance charges, any dealer document processing charge, any electronic filing charge and any emission testing charge. Prices and offers on inventory expire each night at midnight. Sport Chrono Package. Lane Change Assist. Bose. Seat Heating/Ventilation (Front). Infotainment Package. Wheel Arch Extensions in Exterior Color.This Porsche Cayenne Features the Following Options 3S1 Roof Rails in Aluminum Finish4A3 Seat Heating (Front)4D3 Seat Ventilation (Front)6GH Wheel Arch Extensions in Exterior Color7Y1 Lane Change Assist (LCA)9VL Bose(R) Surround Sound SystemEH2 Vehicle Cable (25 ft)FZ3 Seat Belts in Luxor BeigeMC Standard Interior in Luxor BeigeNJ1 Porsche Charging Dock for the Porsche Universal Charger (AC)OPC Porsche Universal Charger (AC)PE5 Power Seats (14-way) with Memory PackagePJC Premium PackagePJU Infotainment Package w/ HD RadioQR5 Sport Chrono PackageR7 Umber MetallicU01 21 911 Turbo Design Wheels Dual Zone Front Automatic Air Conditioning, Bluetooth Wireless Phone Connectivity, Power Liftgate Rear Cargo Access, Leather/Metal-Look Gear Shift Knob, Trunk/Hatch Auto-Latch, Tire Specific Low Tire Pressure Warning, Tailgate/Rear Door Lock Included w/ Power Door Locks, Side Impact Beams, Rear Child Safety Locks, Rain Detecting Variable Intermittent Wipers w/ Heated Jets, Power Door Locks w/ Autolock Feature, Power 1st Row Windows w/ Front And Rear 1-Touch Up/Down, Perimeter/Approach Lights, Partial Leather Seat Trim, Outside Temp Gauge, Outboard Front Lap And Shoulder Safety Belts w/ Rear Center 3 Point, Height Adjusters and Pretensioners, Multi-Link Rear Suspension w/ Coil Springs, Manual Tilt/Telescoping Steering Column, Manual Adjustable Front Head Restraints and Manual Adjustable Rear Head Restraints, Lip Spoiler, LED Brakelights, Leather Door Trim Insert, Gas-Pressurized Shock Absorbers, Fully Automatic Projector Beam High Intensity Low/High Beam Daytime Running Auto-Leveling Headlamps w/ Delay-Off, Full-Time All-Wheel Drive, Full Cloth Headliner, Front Windshield w/ Sun Visor Strip, Front And Rear Fog Lamps, Front and Rear Anti-Roll Bars, Electronic Stability Control (ESC).KBB.com 10 Best Luxury SUVs. This Porsche Cayenne delivers a Plug-in Hybrid Electric w/ 3.0L Supercharged V6 engine powering this Automatic transmission. The Votes are Counted KBB.com 10 Best Luxury SUVs, KBB.com Brand Image Awards.Peace of Mind Purchase this vehicle with peace of mind with Walter's 5 day - 500 mile exchange policy.Visit Us Today A short visit to Porsche Riverside located at 8423 Indiana Ave, Riverside, CA 92504 can get you a trustworthy Cayenne today!Porsche Approved Certified Pre-Owned Vehicle Porsche Approved Certified Pre-Owned vehicles are inspected by factory trained technicians who conduct a 100+ point mechanical and visual inspection, using original Porsche parts. Each vehicle must pass this rigorous inspection before it can be eligible for enrollment into the Porsche Approved Program. If a problem occurs with your Porsche vehicle, the warranty will cover 100% of the material and labor fees. Unlimited Mileage Warranty Benefits & More When you take advantage of the Porsche Approved Certified Pre-Owned Program, you’ll receive the following warranty benefits: • 2 Years / Unlimited Mileage Warranty coverage from the expiration of the new vehicle limited warranty or the date of sale if the new vehicle limited warranty has expired • 2 Years / Unlimited Mileage Porsche Roadside Assistance • Factory trained technicians perform repairs • No deductible • Redeemable at every Porsche Dealer • Only Genuine Porsche parts are used The warranty covers all parts of the following components: • Engine • Fuel / Cooling system • Power train / Transmission • Suspension / Steering • Brake system • Heating / Air condition • Electrical Systems • Body • Comfort ElectronicsPrice plus government fees and taxes, any finance charges, any dealer document processing charge, any electronic filing charge and any emission testing charge. Prices and offers on inventory expire each night at midnight. Original Build Price $66,080. Power Steering Plus. Sport Design Wheel. Convenience Package. Infotainment Package w/ Sound Package Plus. Park Assist w/ Reversing Camera.This Porsche Cayman Comes Equipped with These Options 0Q White 250 Porsche Doppelkupplung (PDK) 400 19 Boxster S Wheels 446 Wheel center caps with colored Porsche Crest 583 Smoking package 638 ParkAssist (Front and Rear) with Reversing Camera 658 Power Steering Plus 748 Power folding side mirrors 840 SportDesign steering wheel AG Standard Interior in Black P9A Convenience Package P9F Infotainment Package with Sound Package Plus Bluetooth Wireless Phone Connectivity, Electric Power-Assist Speed-Sensing Steering, Sport Tuned Suspension, Black Side Windows Trim and Black Front Windshield Trim, Valet Function, Tire Specific Low Tire Pressure Warning, Strut Front Suspension w/ Coil Springs, Side Impact Beams, Seats w/ Leatherette Back Material, Rear-Wheel Drive, Power Spoiler, Power 1st Row Windows w/ Driver And Passenger 1-Touch Up/Down, Perimeter/Approach Lights, Partial Leather Seat Trim, Outside Temp Gauge, Outboard Front Lap And Shoulder Safety Belts w/ Pretensioners, Manual Tilt/Telescoping Steering Column, Liftgate Rear Cargo Access, LED Brakelights, Leather Steering Wheel, Leather Gear Shift Knob, Leather Door Trim Insert, Gas-Pressurized Shock Absorbers, Galvanized Steel/Aluminum Panels, Full Cloth Headliner, Front Windshield w/ Sun Visor Strip, Front center armrest, Front And Rear Fog Lamps, Front and Rear Anti-Roll Bars, FOB Controls w/ Trunk/Hatch/Tailgate.KBB.com Brand Image Awards. Only 7,830 Miles! Delivers 30 Highway MPG and 20 City MPG! 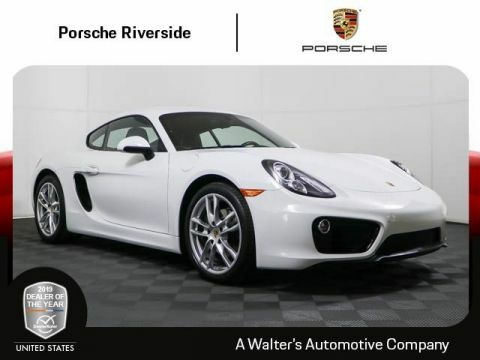 This Porsche Cayman boasts a 2.7L H-6 Aluminum engine powering this Automatic transmission.Peace of Mind Purchase this vehicle with peace of mind with Walter's 5 day - 500 mile exchange policy.Stop By Today Come in for a quick visit at Porsche Riverside, 8423 Indiana Ave, Riverside, CA 92504 to claim your Porsche Cayman!Porsche Approved Certified Pre-Owned Vehicle Porsche Approved Certified Pre-Owned vehicles are inspected by factory trained technicians who conduct a 100+ point mechanical and visual inspection, using original Porsche parts. Each vehicle must pass this rigorous inspection before it can be eligible for enrollment into the Porsche Approved Program. If a problem occurs with your Porsche vehicle, the warranty will cover 100% of the material and labor fees. Unlimited Mileage Warranty Benefits & More When you take advantage of the Porsche Approved Certified Pre-Owned Program, you’ll receive the following warranty benefits: • 2 Years / Unlimited Mileage Warranty coverage from the expiration of the new vehicle limited warranty or the date of sale if the new vehicle limited warranty has expired • 2 Years / Unlimited Mileage Porsche Roadside Assistance • Factory trained technicians perform repairs • No deductible • Redeemable at every Porsche Dealer • Only Genuine Porsche parts are used The warranty covers all parts of the following components: • Engine • Fuel / Cooling system • Power train / Transmission • Suspension / Steering • Brake system • Heating / Air condition • Electrical Systems • Body • Comfort ElectronicsPrice plus government fees and taxes, any finance charges, any dealer document processing charge, any electronic filing charge and any emission testing charge. Prices and offers on inventory expire each night at midnight. Original Build Price $89,525. Premium Package Plus. Adaptive Air Suspension incl. PASM. Multi Function Steering Wheel. Power Sun Blind for Rear Side Windows. This Porsche Panamera Comes Equipped with These Options 350 Adaptive Air Suspension incl. PASM 429 20 911 Turbo Design Wheels 541 Seat Ventilation (Front) 671 Voice Control 844 Multifunction steering wheel 861 Power Sunblind for Rear Side Windows N5 Night Blue Metallic P4E Premium Package Plus PK Standard Interior in Black/Luxor Beige VOICE CONTROL SYSTEM -inc: For control of virtually all PCM functions by defined voice commands, Dual Zone Front Automatic Air Conditioning, Bluetooth Wireless Phone Connectivity, Power Liftgate Rear Cargo Access, Back-Up Camera, Day-Night Auto-Dimming Rear view Mirror, Black Side Windows Trim and Black Front Windshield Trim, Valet Function, Trunk/Hatch Auto-Latch, Tire Specific Low Tire Pressure Warning, Tailgate/Rear Door Lock Included w/ Power Door Locks, Sport Leather Steering Wheel, Side Impact Beams, Rear-Wheel Drive, Rear Fog Lamps, Rear Child Safety Locks, Rain Detecting Variable Intermittent Wipers w/ Heated Jets, Power Spoiler, Power Rear Windows, Power Door Locks w/ Autolock Feature, Power 1st Row Windows w/ Front And Rear 1-Touch Up/Down, Perimeter/Approach Lights, Outside Temp Gauge, Multi-Link Rear Suspension w/ Coil Springs, Manual Tilt/Telescoping Steering Column, LED Brakelights, Leather Door Trim Insert, Hydraulic Power-Assist Speed-Sensing Steering, Gas-Pressurized Shock Absorbers, Galvanized Steel/Aluminum Panels.ALG Residual Value Awards. Boasts 28 Highway MPG and 18 City MPG! Carfax One-Owner Vehicle. 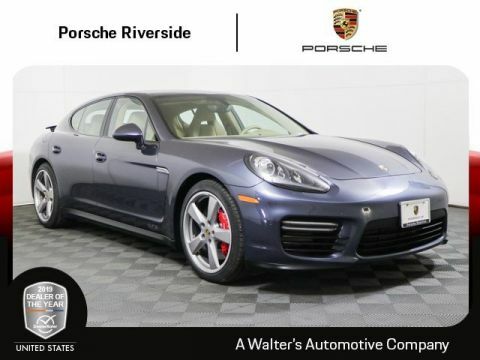 This Porsche Panamera boasts a 3.6L V6 engine powering this Automatic transmission.The Votes are Counted ALG Residual Value Awards, KBB.com Best Resale Value Awards, KBB.com Brand Image Awards.Peace of Mind Purchase this vehicle with peace of mind with Walter's 5 day - 500 mile exchange policy.Stop By Today Come in for a quick visit at Porsche Riverside, 8423 Indiana Ave, Riverside, CA 92504 to claim your Porsche Panamera!Price plus government fees and taxes, any finance charges, any dealer document processing charge, any electronic filing charge and any emission testing charge. Prices and offers on inventory expire each night at midnight. Premium Package Plus. Seat Ventilation (Front). Standard Interior in Black. White Exterior.This Porsche Panamera Comes Equipped with These Options 0Q White 541 Seat Ventilation (Front) AB Standard Interior in Black P4E Premium Package Plus XRY 20 Panamera Sport Wheels in Black (High-Gloss) Dual Zone Front Automatic Air Conditioning, Bluetooth Wireless Phone Connectivity, Power Liftgate Rear Cargo Access, Back-Up Camera, Day-Night Auto-Dimming Rear view Mirror, Black Side Windows Trim and Black Front Windshield Trim, Valet Function, Trunk/Hatch Auto-Latch, Tire Specific Low Tire Pressure Warning, Tailgate/Rear Door Lock Included w/ Power Door Locks, Sport Leather Steering Wheel, Side Impact Beams, Rear-Wheel Drive, Rear Fog Lamps, Rear Child Safety Locks, Rain Detecting Variable Intermittent Wipers w/ Heated Jets, Power Spoiler, Power Rear Windows, Power Door Locks w/ Autolock Feature, Power 1st Row Windows w/ Front And Rear 1-Touch Up/Down, Perimeter/Approach Lights, Outside Temp Gauge, Multi-Link Rear Suspension w/ Coil Springs, Manual Tilt/Telescoping Steering Column, LED Brakelights, Leather Door Trim Insert, Hydraulic Power-Assist Speed-Sensing Steering, Gas-Pressurized Shock Absorbers, Galvanized Steel/Aluminum Panels, Fully Automatic Projector Beam High Intensity Low/High Beam Daytime Running Auto-Leveling Directionally Adaptive Headlamps w/ Washer and Delay-Off.ALG Residual Value Awards. Delivers 28 Highway MPG and 18 City MPG! This Porsche Panamera boasts a 3.6L V6 engine powering this Automatic transmission. This Porsche Panamera is a Superstar! 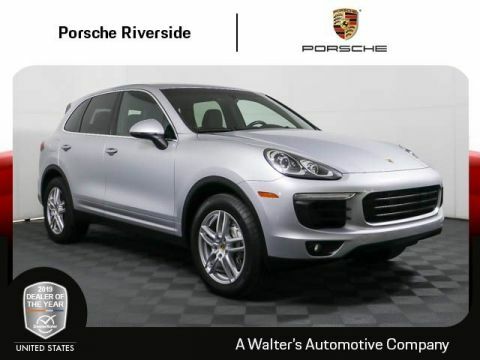 ALG Residual Value Awards, KBB.com Best Resale Value Awards, KBB.com Brand Image Awards.Peace of Mind Purchase this vehicle with peace of mind with Walter's 5 day - 500 mile exchange policy.Visit Us Today Test drive this must-see, must-drive, must-own beauty today at Porsche Riverside, 8423 Indiana Ave, Riverside, CA 92504.Porsche Approved Certified Pre-Owned Vehicle Porsche Approved Certified Pre-Owned vehicles are inspected by factory trained technicians who conduct a 100+ point mechanical and visual inspection, using original Porsche parts. Each vehicle must pass this rigorous inspection before it can be eligible for enrollment into the Porsche Approved Program. If a problem occurs with your Porsche vehicle, the warranty will cover 100% of the material and labor fees. Unlimited Mileage Warranty Benefits & More When you take advantage of the Porsche Approved Certified Pre-Owned Program, you’ll receive the following warranty benefits: • 2 Years / Unlimited Mileage Warranty coverage from the expiration of the new vehicle limited warranty or the date of sale if the new vehicle limited warranty has expired • 2 Years / Unlimited Mileage Porsche Roadside Assistance • Factory trained technicians perform repairs • No deductible • Redeemable at every Porsche Dealer • Only Genuine Porsche parts are used The warranty covers all parts of the following components: • Engine • Fuel / Cooling system • Power train / Transmission • Suspension / Steering • Brake system • Heating / Air condition • Electrical Systems • Body • Comfort ElectronicsPrice plus government fees and taxes, any finance charges, any dealer document processing charge, any electronic filing charge and any emission testing charge. Prices and offers on inventory expire each night at midnight. Original Build Price $86,115. Premium Package Plus. Multifunction Steering Wheel. Extended Range Fuel Tank. Standard Interior in Black.This Porsche Panamera Comes Equipped with These Options 081 Extended Range Fuel Tank 0Q White 429 20 911 Turbo Design Wheels 844 Multifunction steering wheel AB Standard Interior in Black P4E Premium Package Plus Dual Zone Front Automatic Air Conditioning, Bluetooth Wireless Phone Connectivity, Power Liftgate Rear Cargo Access, Back-Up Camera, Day-Night Auto-Dimming Rear view Mirror, Black Side Windows Trim and Black Front Windshield Trim, Valet Function, Trunk/Hatch Auto-Latch, Tire Specific Low Tire Pressure Warning, Tailgate/Rear Door Lock Included w/ Power Door Locks, Sport Leather Steering Wheel, Side Impact Beams, Rear-Wheel Drive, Rear Fog Lamps, Rear Child Safety Locks, Rain Detecting Variable Intermittent Wipers w/ Heated Jets, Power Spoiler, Power Rear Windows, Power Door Locks w/ Autolock Feature, Power 1st Row Windows w/ Front And Rear 1-Touch Up/Down, Perimeter/Approach Lights, Outside Temp Gauge, Multi-Link Rear Suspension w/ Coil Springs, Manual Tilt/Telescoping Steering Column, LED Brakelights, Leather Door Trim Insert, Hydraulic Power-Assist Speed-Sensing Steering, Gas-Pressurized Shock Absorbers, Galvanized Steel/Aluminum Panels, Fully Automatic Projector Beam High Intensity Low/High Beam Daytime Running Auto-Leveling Directionally Adaptive Headlamps w/ Washer and Delay-Off.ALG Residual Value Awards. Only 25,567 Miles! Scores 28 Highway MPG and 18 City MPG! This Porsche Panamera boasts a 3.6L V6 engine powering this Automatic transmission. This Porsche Panamera is a Superstar! 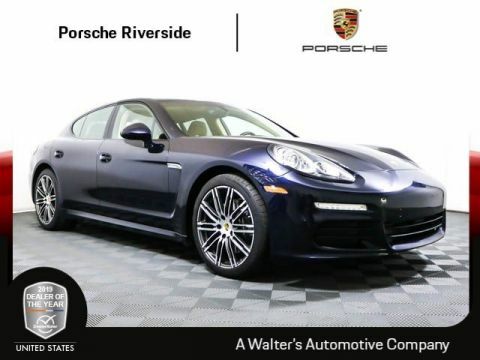 ALG Residual Value Awards, KBB.com Best Resale Value Awards, KBB.com Brand Image Awards.Peace of Mind Purchase this vehicle with peace of mind with Walter's 5 day - 500 mile exchange policy.Visit Us Today A short visit to Porsche Riverside located at 8423 Indiana Ave, Riverside, CA 92504 can get you a tried-and-true Panamera today!Porsche Approved Certified Pre-Owned Vehicle Porsche Approved Certified Pre-Owned vehicles are inspected by factory trained technicians who conduct a 100+ point mechanical and visual inspection, using original Porsche parts. Each vehicle must pass this rigorous inspection before it can be eligible for enrollment into the Porsche Approved Program. If a problem occurs with your Porsche vehicle, the warranty will cover 100% of the material and labor fees. Unlimited Mileage Warranty Benefits & More When you take advantage of the Porsche Approved Certified Pre-Owned Program, you’ll receive the following warranty benefits: • 2 Years / Unlimited Mileage Warranty coverage from the expiration of the new vehicle limited warranty or the date of sale if the new vehicle limited warranty has expired • 2 Years / Unlimited Mileage Porsche Roadside Assistance • Factory trained technicians perform repairs • No deductible • Redeemable at every Porsche Dealer • Only Genuine Porsche parts are used The warranty covers all parts of the following components: • Engine • Fuel / Cooling system • Power train / Transmission • Suspension / Steering • Brake system • Heating / Air condition • Electrical Systems • Body • Comfort ElectronicsPrice plus government fees and taxes, any finance charges, any dealer document processing charge, any electronic filing charge and any emission testing charge. Prices and offers on inventory expire each night at midnight. Original Build Price $79,965. Premium Package Plus. Sport Chrono Package. Porsche Connect. Lane Change Assist. Leather Interior in Black w/ GTS Interior Package.This Porsche Macan Features the Following Options 0Q White 3S5 Roof Rails in Black 6JA Door Handles in Black (High-Gloss) 7V5 Code for Instrument Dials in Silver 7Y7 Lane Change Assist (LCA) FI5 Seat Belts in Rhodium Silver FK Leather Interior in Black with GTS Interior Package (stitching in Rhodium Silver) IU1 Porsche Connect PJ8 Premium Package Plus QR5 Sport Chrono Package i.c.w. PCM Dual Zone Front Automatic Air Conditioning, BLACK, LEATHER SEAT TRIM W/GTS INTERIOR PACKAGE, Power Liftgate Rear Cargo Access, Lane Departure Warning, Front And Rear Parking Sensors, Electric Power-Assist Speed-Sensing Steering, Back-Up Camera, Leatherette Door Trim Insert, Leather/Metal-Look Gear Shift Knob, Black Side Windows Trim and Black Front Windshield Trim, Tire Specific Low Tire Pressure Warning, Tailgate/Rear Door Lock Included w/ Power Door Locks, Side Impact Beams, Seats w/ Leatherette Back Material, Rear Child Safety Locks, Rain Detecting Variable Intermittent Wipers w/ Heated Jets, Power Door Locks w/ Autolock Feature, Power 1st Row Windows w/ Front And Rear 1-Touch Up/Down, Perimeter/Approach Lights, Outside Temp Gauge, Outboard Front Lap And Shoulder Safety Belts w/ Rear Center 3 Point, Height Adjusters and Pretensioners, Manual w/ Tilt Front Head Restraints and Manual Adjustable Rear Head Restraints, Manual Tilt/Telescoping Steering Column, Lip Spoiler, LED Brakelights, Gauges w/ Speedometer, Odometer, Engine Coolant Temp, Tachometer, Turbo/Supercharger Boost, Trip Odometer and Trip Computer, Gas-Pressurized Shock Absorbers, Fully Automatic Projector Beam High Intensity Low/High Beam Daytime Running Auto-Leveling Directionally Adaptive Headlamps w/ Washer and Delay-Off, Full-Time All-Wheel Drive, Full Cloth Headliner.KBB.com 10 Most Fun SUVs. 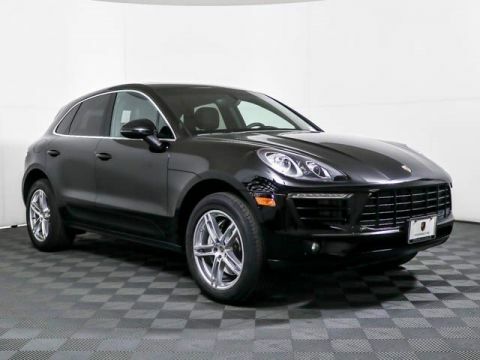 This Porsche Macan boasts a 3.0L Twin-Turbo V6 engine powering this Automatic transmission. 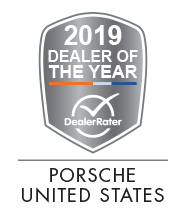 The Votes are Counted KBB.com 10 Most Fun SUVs, KBB.com Best Resale Value Awards, KBB.com 10 Most Awarded Brands, KBB.com Brand Image Awards.Peace of Mind Purchase this vehicle with peace of mind with Walter's 5 day - 500 mile exchange policy.Stop By Today Come in for a quick visit at Porsche Riverside, 8423 Indiana Ave, Riverside, CA 92504 to claim your Porsche Macan!Porsche Approved Certified Pre-Owned Vehicle Porsche Approved Certified Pre-Owned vehicles are inspected by factory trained technicians who conduct a 100+ point mechanical and visual inspection, using original Porsche parts. Each vehicle must pass this rigorous inspection before it can be eligible for enrollment into the Porsche Approved Program. If a problem occurs with your Porsche vehicle, the warranty will cover 100% of the material and labor fees. Unlimited Mileage Warranty Benefits & More When you take advantage of the Porsche Approved Certified Pre-Owned Program, you’ll receive the following warranty benefits: • 2 Years / Unlimited Mileage Warranty coverage from the expiration of the new vehicle limited warranty or the date of sale if the new vehicle limited warranty has expired • 2 Years / Unlimited Mileage Porsche Roadside Assistance • Factory trained technicians perform repairs • No deductible • Redeemable at every Porsche Dealer • Only Genuine Porsche parts are used The warranty covers all parts of the following components: • Engine • Fuel / Cooling system • Power train / Transmission • Suspension / Steering • Brake system • Heating / Air condition • Electrical Systems • Body • Comfort ElectronicsPrice plus government fees and taxes, any finance charges, any dealer document processing charge, any electronic filing charge and any emission testing charge. Prices and offers on inventory expire each night at midnight. Wheel arch extensions Tires 21"
Premium Package Plus. Heated Multi Function Steering Wheel. Dark Walnut Interior Package incl. Gear Selector. Porsche Charging Dock for the Porsche Universal Charger. This Porsche Cayenne Comes Equipped with These Options 2ZH Heated Multifunction Steering Wheel9JB Smoking PackageEH2 Vehicle Cable (25 ft)KB2 7.2 kW Onboard ChargerMC Standard Interior in Luxor BeigeNJ1 Porsche Charging Dock for the Porsche Universal Charger (AC)PH9 Dark Walnut Interior Package incl. Gear SelectorPJY Premium Package PlusU02 21 Sport Classic WheelsY8 Mahogany Metallic PREMIUM PACKAGE PLUS (PJY) -inc: Porsche Entry & Drive, Front Seat Ventilation, 14-Way Power Seats w/Memory Package, memory for driver and front passenger seat settings, steering column and exterior mirror positions and settings for lights, wipers, air conditioning, door locking, instrument cluster and PCM on the key remote, Lane Change Assist (LCA), Front & Rear Seat Heating, Panoramic Roof System, LED Headlights w/Porsche Dynamic Light System Plus, Comfort Lighting Package (PP6), Reversing Camera Including Front & Rear ParkAssist, Electric Sunblinds for Rear Side Windows, ONBOARD CHARGER 7.2 KW, Dual Zone Front Automatic Air Conditioning, DARK WALNUT INTERIOR PACKAGE (PH9), Power Liftgate Rear Cargo Access, Leather/Metal-Look Gear Shift Knob, Day-Night Auto-Dimming Rear view Mirror, Black Side Windows Trim and Black Front Windshield Trim, Trunk/Hatch Auto-Latch, Tire Specific Low Tire Pressure Warning, Side Impact Beams, Seats w/ Leatherette Back Material, Rear Child Safety Locks, Rain Detecting Variable Intermittent Wipers w/ Heated Jets, Power Door Locks w/ Autolock Feature, Power 1st Row Windows w/ Front And Rear 1-Touch Up/Down, Perimeter/Approach Lights, Partial Leather Seat Trim, Outside Temp Gauge, Outboard Front Lap And Shoulder Safety Belts w/ Rear Center 3 Point, Height Adjusters and Pretensioners, Multi-Link Rear Suspension w/ Coil Springs, Manual Tilt/Telescoping Steering Column, Manual Adjustable Front Head Restraints and Manual Adjustable Rear Head Restraints, Lip Spoiler, LED Brakelights, Leather Door Trim Insert, Gas-Pressurized Shock Absorbers, Fully Automatic Projector Beam High Intensity Low/High Beam Daytime Running Auto-Leveling Directionally Adaptive Headlamps w/ Delay-Off, Full-Time All-Wheel Drive, Full Cloth Headliner.KBB.com 10 Best Luxury SUVs. Only 18,824 Miles! 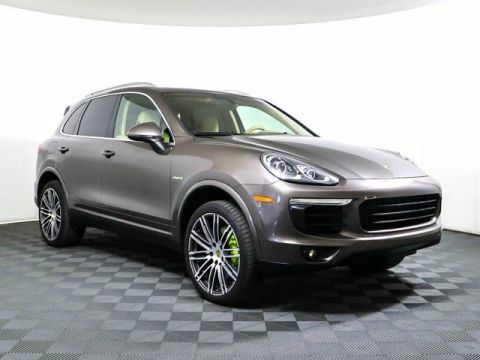 This Porsche Cayenne delivers a Plug-in Hybrid Electric w/ 3.0L Supercharged V6 engine powering this Automatic transmission.This Porsche Cayenne is a Superstar! 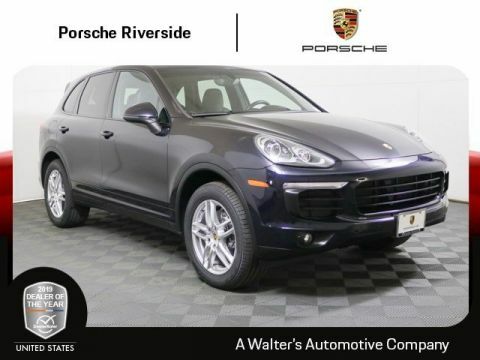 KBB.com 10 Best Luxury SUVs, KBB.com 10 Most Awarded Brands, KBB.com Best Resale Value Awards, KBB.com Brand Image Awards.Peace of Mind Purchase this vehicle with peace of mind with Walter's 5 day - 500 mile exchange policy.Stop By Today Treat yourself- stop by Porsche Riverside located at 8423 Indiana Ave, Riverside, CA 92504 to make this car yours today!Porsche Approved Certified Pre-Owned Vehicle Porsche Approved Certified Pre-Owned vehicles are inspected by factory trained technicians who conduct a 100+ point mechanical and visual inspection, using original Porsche parts. Each vehicle must pass this rigorous inspection before it can be eligible for enrollment into the Porsche Approved Program. If a problem occurs with your Porsche vehicle, the warranty will cover 100% of the material and labor fees. Unlimited Mileage Warranty Benefits & More When you take advantage of the Porsche Approved Certified Pre-Owned Program, you’ll receive the following warranty benefits: • 2 Years / Unlimited Mileage Warranty coverage from the expiration of the new vehicle limited warranty or the date of sale if the new vehicle limited warranty has expired • 2 Years / Unlimited Mileage Porsche Roadside Assistance • Factory trained technicians perform repairs • No deductible • Redeemable at every Porsche Dealer • Only Genuine Porsche parts are used The warranty covers all parts of the following components: • Engine • Fuel / Cooling system • Power train / Transmission • Suspension / Steering • Brake system • Heating / Air condition • Electrical Systems • Body • Comfort ElectronicsPrice plus government fees and taxes, any finance charges, any dealer document processing charge, any electronic filing charge and any emission testing charge. Prices and offers on inventory expire each night at midnight. Original Build Price $72,770. Premium Package. Power Sport Seats w/ Memory Package. Porsche Connect Plus. Bose. Seat Ventilation. Bi-Xenon Headlights w/ Porsche Dynamic Light System. This Porsche 718 Boxster Comes Equipped with These Options 0Q White 250 7-speed Porsche Doppelkupplung (PDK) 397 19 Boxster S Wheels 4V Roadster Top in Black 541 Seat ventilation 603 Bi-Xenon Headlights with Porsche Dynamic Light System 7UG Navigation Module for Porsche Communication Management (PCM) 9VL Bose(R) Surround Sound System AG Standard Interior in Black IV2 Porsche Connect Plus P06 Power Sport Seats (14-way) with Memory Package P9B Premium Package i.c.w. Power Sport Seats (14-way) QH1 Voice Control Front And Rear Parking Sensors, Back-Up Camera, Valet Function, Tire Specific Low Tire Pressure Warning, Tailgate/Rear Door Lock Included w/ Power Door Locks, Strut Front Suspension w/ Coil Springs, Side Impact Beams, Rear-Wheel Drive, Power Spoiler, Power 1st Row Windows w/ Driver And Passenger 1-Touch Up/Down, Perimeter/Approach Lights, Partial Leather Seat Trim, Outside Temp Gauge, Outboard Front Lap And Shoulder Safety Belts w/ Pretensioners, Manual Tilt/Telescoping Steering Column, LED Brakelights, Gas-Pressurized Shock Absorbers, Galvanized Steel/Aluminum Panels, Fully Automatic Projector Beam High Intensity Low/High Beam Daytime Running Auto-Leveling Headlamps w/ Washer and Delay-Off, Full Cloth Headliner, Front Windshield w/ Sun Visor Strip, Front center armrest, Front and Rear Anti-Roll Bars, Fixed Rear Window w/ Defroster, Fade-To-Off Interior Lighting, Engine Auto Stop-Start Feature, Electronic Stability Control (ESC), Electric Power-Assist Steering, Dual Stainless Steel Exhaust w/ Polished Tailpipe Finisher, Dual Stage Driver and Passenger Seat-Mounted Side Airbags.ALG Residual Value Awards. Only 5,840 Miles! Scores 28 Highway MPG and 21 City MPG! 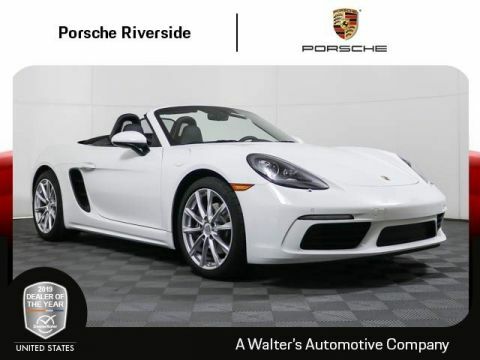 This Porsche 718 Boxster delivers a 2.0L Turbo H-4 engine powering this Automatic transmission.Peace of Mind Purchase this vehicle with peace of mind with Walter's 5 day - 500 mile exchange policy.Stop By Today Test drive this must-see, must-drive, must-own beauty today at Porsche Riverside, 8423 Indiana Ave, Riverside, CA 92504.Porsche Approved Certified Pre-Owned Vehicle Porsche Approved Certified Pre-Owned vehicles are inspected by factory trained technicians who conduct a 100+ point mechanical and visual inspection, using original Porsche parts. Each vehicle must pass this rigorous inspection before it can be eligible for enrollment into the Porsche Approved Program. If a problem occurs with your Porsche vehicle, the warranty will cover 100% of the material and labor fees. Unlimited Mileage Warranty Benefits & More When you take advantage of the Porsche Approved Certified Pre-Owned Program, you’ll receive the following warranty benefits: • 2 Years / Unlimited Mileage Warranty coverage from the expiration of the new vehicle limited warranty or the date of sale if the new vehicle limited warranty has expired • 2 Years / Unlimited Mileage Porsche Roadside Assistance • Factory trained technicians perform repairs • No deductible • Redeemable at every Porsche Dealer • Only Genuine Porsche parts are used The warranty covers all parts of the following components: • Engine • Fuel / Cooling system • Power train / Transmission • Suspension / Steering • Brake system • Heating / Air condition • Electrical Systems • Body • Comfort ElectronicsPrice plus government fees and taxes, any finance charges, any dealer document processing charge, any electronic filing charge and any emission testing charge. Prices and offers on inventory expire each night at midnight. Sport Chrono Package. Adaptive Cruise Control incl. Porsche Active Safe. Park Assist w/ Surround View. Porsche Communication Management incl. 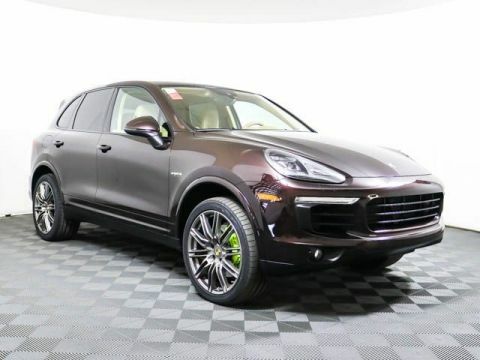 Navigation Module.This Porsche Macan Comes Equipped with These Options 1D6 Trailer hitch without tow ball 2H Volcano Grey Metallic 4D3 Seat Ventilation (Front) 5TH Brushed Aluminum Interior Package in Black 5ZF Porsche Crest on Headrests (front and rear) 6H1 Side Blades in Exterior Color 7UG Porsche Communication Management (PCM) incl. Navigation Module 7Y3 Lane Keep Assist (LKA) i.c.w. Lane Change Assist (LCA) 8A4 ParkAssist (Front and Rear) with Surround View 8EY LED Headlights incl. Porsche Dynamic Light System Plus (PDLS Plus) 8T3 Adaptive Cruise Control (ACC) incl. Porsche Active Safe (PAS) 9JB Smoking Package IV1 Connect Plus PE5 Power Seats (14-way) with Memory Package PJ8 Premium Package Plus QR5 Sport Chrono Package i.c.w. PCM VK Leather Interior in Black Dual Zone Front Automatic Air Conditioning, BLACK, LEATHER SEAT TRIM W/LEATHER INTERIOR, Power Liftgate Rear Cargo Access, Lane Departure Warning, Front And Rear Parking Sensors, Electric Power-Assist Speed-Sensing Steering, Back-Up Camera, Leatherette Door Trim Insert, Leather/Metal-Look Gear Shift Knob, Black Side Windows Trim and Black Front Windshield Trim, Trunk/Hatch Auto-Latch, Tire Specific Low Tire Pressure Warning, Tailgate/Rear Door Lock Included w/ Power Door Locks, Side Impact Beams, Seats w/ Leatherette Back Material, Rear Child Safety Locks, Rain Detecting Variable Intermittent Wipers w/ Heated Jets, Power Door Locks w/ Autolock Feature, Power 1st Row Windows w/ Front And Rear 1-Touch Up/Down, Perimeter/Approach Lights, Outside Temp Gauge, Outboard Front Lap And Shoulder Safety Belts w/ Rear Center 3 Point, Height Adjusters and Pretensioners, Manual w/ Tilt Front Head Restraints and Manual Adjustable Rear Head Restraints, Manual Tilt/Telescoping Steering Column, Lip Spoiler, LED Brakelights, Gauges w/ Speedometer, Odometer, Engine Coolant Temp, Tachometer, Turbo/Supercharger Boost, Trip Odometer and Trip Computer, Gas-Pressurized Shock Absorbers, Fully Automatic Projector Beam High Intensity Low/High Beam Daytime Running Auto-Leveling Directionally Adaptive Headlamps w/ Washer and Delay-Off, Full-Time All-Wheel Drive.KBB.com 10 Most Fun SUVs. Only 14,791 Miles! 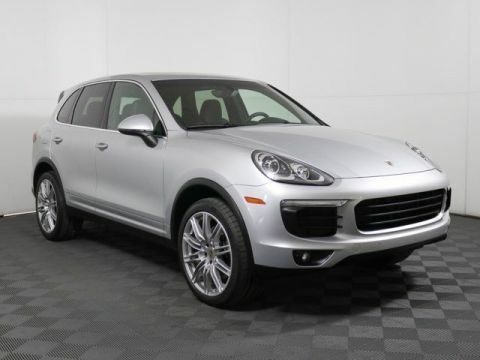 This Porsche Macan boasts a 3.0L Twin-Turbo V6 engine powering this Automatic transmission. The Votes are Counted KBB.com 10 Most Fun SUVs, KBB.com Best Resale Value Awards, KBB.com Brand Image Awards, KBB.com 10 Most Awarded Brands.Peace of Mind Purchase this vehicle with peace of mind with Walter's 5 day - 500 mile exchange policy.Stop By Today For a must-own Porsche Macan come see us at Porsche Riverside, 8423 Indiana Ave, Riverside, CA 92504. Just minutes away!Price plus government fees and taxes, any finance charges, any dealer document processing charge, any electronic filing charge and any emission testing charge. Prices and offers on inventory expire each night at midnight. Original Build Price $120,530. Premium Package. Bose. Park Assist w/ Reversing Camera. 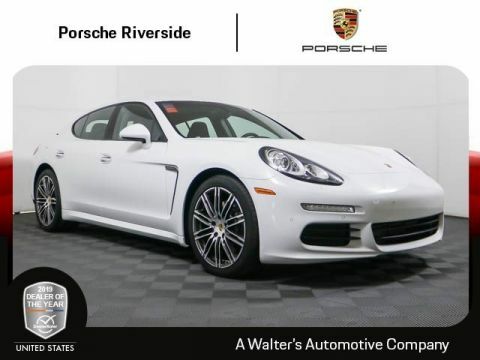 Leather Interior in Luxor Beige w/ GTS Alcantara Package.This Porsche Panamera Comes Equipped with These Options 234 All-Season Tires for 20 Wheels 638 ParkAssist (Front and Rear) incl. Reversing Camera 680 BOSE(R) Surround Sound System GU Leather Interior in Luxor Beige with GTS Alcantara(R) Package P43 Premium Package R9 Yachting Blue Metallic XRU 20 Sport Classic Wheels LUXOR BEIGE, ALCANTARA LEATHER SEAT TRIM -inc: Leather interior w/Alcantara Package in standard color, The Alcantara-Package contains stitched GTS model designation on front/rear seat head restraints and following scope in Alcantara: Front/rear armrests in door trim panels, forward center console armrest, front of armrest, front/rear seat centers, roof lining, A-pillar B-pillar (upper section) and sun visors, Dual Zone Front Automatic Air Conditioning, Bluetooth Wireless Phone Connectivity, Power Liftgate Rear Cargo Access, Leather/Metal-Look Gear Shift Knob, Day-Night Auto-Dimming Rear view Mirror, Black Side Windows Trim and Black Front Windshield Trim, Valet Function, Trunk/Hatch Auto-Latch, Tire Specific Low Tire Pressure Warning, Side Impact Beams, Rear Fog Lamps, Rear Child Safety Locks, Rain Detecting Variable Intermittent Wipers w/ Heated Jets, Power Spoiler, Power Rear Windows, Power Door Locks w/ Autolock Feature, Power 1st Row Windows w/ Front And Rear 1-Touch Up/Down, Perimeter/Approach Lights, Outside Temp Gauge, LED Brakelights, Leather Door Trim Insert, Hydraulic Power-Assist Speed-Sensing Steering, Gas-Pressurized Shock Absorbers, Galvanized Steel/Aluminum Panels, Fully Automatic Projector Beam High Intensity Low/High Beam Daytime Running Auto-Leveling Directionally Adaptive Headlamps w/ Washer and Delay-Off, Full-Time All-Wheel Drive, Front Windshield w/ Sun Visor Strip, Front and Rear Anti-Roll Bars, FOB Controls w/ Trunk/Hatch/Tailgate.ALG Residual Value Awards. Only 15,304 Miles! Boasts 24 Highway MPG and 16 City MPG! This Porsche Panamera boasts a 4.8L V8 engine powering this Automatic transmission. This Porsche Panamera is a Superstar! 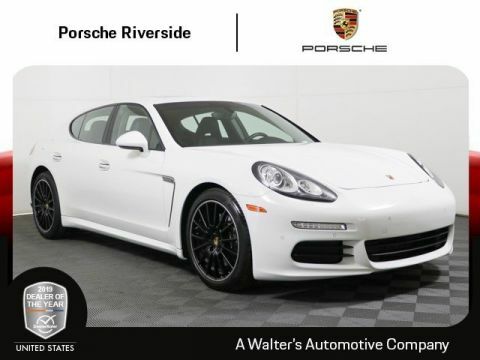 ALG Residual Value Awards, KBB.com Brand Image Awards.Peace of Mind Purchase this vehicle with peace of mind with Walter's 5 day - 500 mile exchange policy.Visit Us Today A short visit to Porsche Riverside located at 8423 Indiana Ave, Riverside, CA 92504 can get you a reliable Panamera today!Porsche Approved Certified Pre-Owned Vehicle Porsche Approved Certified Pre-Owned vehicles are inspected by factory trained technicians who conduct a 100+ point mechanical and visual inspection, using original Porsche parts. Each vehicle must pass this rigorous inspection before it can be eligible for enrollment into the Porsche Approved Program. If a problem occurs with your Porsche vehicle, the warranty will cover 100% of the material and labor fees. Unlimited Mileage Warranty Benefits & More When you take advantage of the Porsche Approved Certified Pre-Owned Program, you’ll receive the following warranty benefits: • 2 Years / Unlimited Mileage Warranty coverage from the expiration of the new vehicle limited warranty or the date of sale if the new vehicle limited warranty has expired • 2 Years / Unlimited Mileage Porsche Roadside Assistance • Factory trained technicians perform repairs • No deductible • Redeemable at every Porsche Dealer • Only Genuine Porsche parts are used The warranty covers all parts of the following components: • Engine • Fuel / Cooling system • Power train / Transmission • Suspension / Steering • Brake system • Heating / Air condition • Electrical Systems • Body • Comfort ElectronicsPrice plus government fees and taxes, any finance charges, any dealer document processing charge, any electronic filing charge and any emission testing charge. Prices and offers on inventory expire each night at midnight. 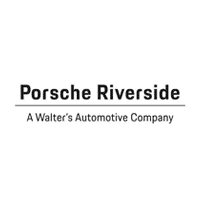 If you’re in the market for a new-to-you vehicle, look no further than Porsche Riverside. Our new and used Porsche dealership is proud to offer an extensive collection of pre-owned vehicles from a variety of automotive brands, including BMW, Mazda, Nissan, and of course, Porsche. Why opt for a used car? There are a number of benefits, but most importantly: the savings. Purchasing a used vehicle can save you money up front, as well as on insurance. Many vehicles in our used vehicle inventory are from recent model years, so you’ll be saving money on vehicles that are practically new! Plus, our collection of used luxury cars is sure to impress. For those looking for a bit more peace of mind when shopping for a used car, we encourage you to explore our inventory of Certified pre-owned Porsche models near Los Angeles, Chino Hills, Ontario, Rancho Cucamonga, and Corona. The vehicles in our Certified pre-owned inventory include a number of benefits. For starters, each vehicle has been inspected by a Porsche-trained technician; each vehicle must pass this inspection in order to be eligible for the Porsche Approved Program. Our Certified pre-owned inventory also includes impressive warranty coverage, a clean vehicle history report, and much more. 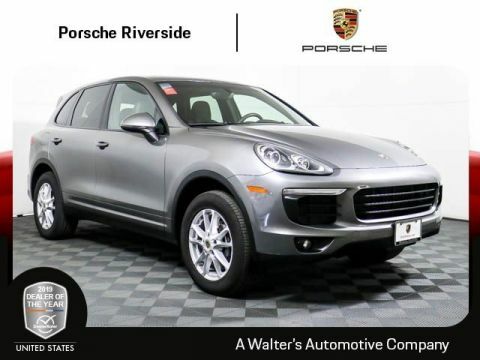 For more information on our used car inventory, contact our Los Angeles area Porsche dealership at (888) 536-5618.